We all know kids can get pretty bored quickly. Whether they are walking, on a bus, on a train, at home or in a car. We are all travelling for an hour or so long car journey on Friday to stay in Chester for a long weekend and then we will do the car journey again on Monday. In one way I am looking forward for the car journey because I don't mind them but I do think the girls will get pretty bored half way. You can make these up at home before you start your journey. Pack a lunch box or sandwich bags and fill them with different snacks for the kids. That will sure make them happy for a little while atleast. Bring or buy some CD's. Most kids like music. Maybe you could play a specific CD that is filled with songs your children like and all of you have a sing-a-long! Sitting in a car for a long time can be quite uncomfortable for us and the kids. 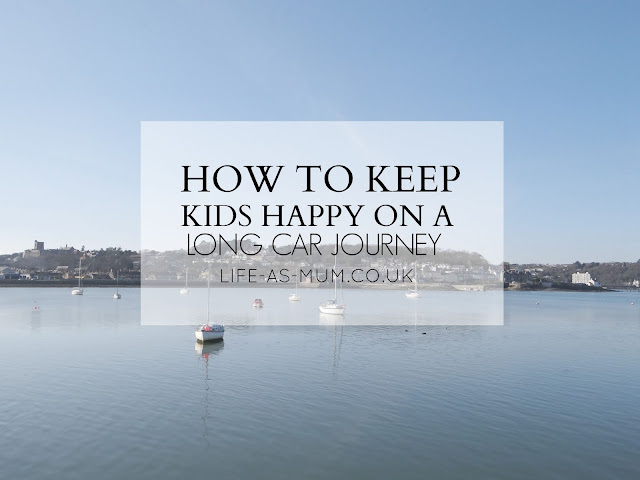 So it may be a good idea to stop a few times throughout your car journey. You could stop for lunch and if you have a child who is out of nappies, stop for toilet breaks too. This is something I will bring with us on our car journey. They can take turns as we only have one. It can keep the kids entertained, quiet and it can be educational for them too. There are all kinds of activity sheets you can print out or draw for kids to do on a car journey. There are different kinds of sheets you can do such as 'Car Bingo'. This will sure keep Mia happy for a long time and Elliw happy for a bit of a time. Being in a car together is a great time to bond even more. Play the classic games such as 'Eye Spy' or sing nursery rhymes. There are all kinds of games you could all play. A time for laughter and thinking for the kids too. Have you got anymore tips on keeping a child happy on a long car journey?